News | Don't Meth With Us! Don't Meth With Missouri - 2018 Safeco Insurance Make More Happen Awards! 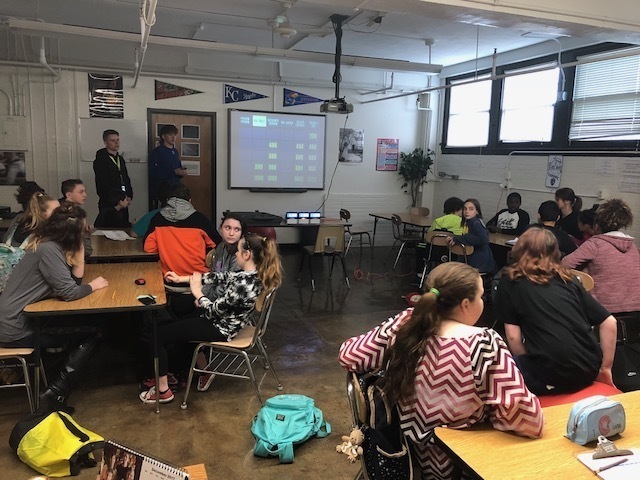 Kids at Springfield’s Pershing Middle School played Jeopardy! with “Clues Crew” host Kelly Miyahara. The message of the this game is “Don’t Meth with Me.” Springfield’s Rotary Club helped develop the game for the classroom. SPRINGFIELD, Mo. – For Tiffany Eis, everyday life now includes walking the halls of schools and teaching the dangers of meth and drug use from a firsthand experience. She’s part of the Rotary clubs’ “Don’t Meth With Us” program. She says the drug changed her life, forever. “I was using pretty much anything, of course; always marijuana, meth, prescription pain pills, oxycodone, morphine — all of those types of drugs; those were my main ones, but then I also did the other ones as a recreation on top of my daily drugs,” Eis said last week. An addiction that started with marijuana when she was just 15 years old quickly rollercoastered into more. The bright student from Camdenton went to college, got a degree in communications, and was working a normal job. Never did she think the drug use that she kept secret from everyone would head into such a downward spiral. In March 2006, for Eis’ 30th birthday, she and a friend had plans to go out. While getting ready, she was using drugs and decided to take a bath. Two days later, Eis’ friend returned to find Eis still in the tub, with her eyes wide open, with feet and hands turning blue, unresponsive. The friend, who didn’t have a car, begged Eis’ ex-boyfriend to take her to the hospital. He said yes and put her in the bed of his pickup. She suffered two stokes and severe blood clots. “They dumped me off outside and I was in a sheet (remember, I was in a bath tub), so they just put me in the sheet from my bed and dropped me off in a sheet” said Eis. In 2012, the Drug Enforcement Administration found more than 11,000 methamphetamine incidents occurred in the United States; that means everything from finding lab equipment to seizing paraphernalia. More than 1.800 of those incidents occurred in Missouri. “Think about what you’re doing to your own self. You need to be responsible for you. Yes, you have your family or friends but, when it all boils down ,it’s just you and how you take care of your body and how you view life and how you want to go out there and do things and not get stuck in just a rut. The world is your oyster. Go for it; don’t get stuck in drugs and addictive behaviors” said Eis. SPRINGFIELD, Mo. (DATE, 2013) — Help John Horton win $10,000 for Don’t Meth With MO in the “Vote for Your Favorite Safeco Insurance® Community Hero” event. Horton is one of just 16 Community Hero Award winners selected nationwide by Safeco Insurance to be in the contest, and your support could help him come out on top in an online voting event that will give $10,000 and $5,000 to the charities represented by the top two heroes with the most votes. Bill White, owner of Bill White Insurance Agency in Springfield, nominated Horton for the award, and Safeco Insurance already has donated $5,000 to Don’t Meth With MO on behalf of Horton and White. The voting contest, which ends at 10 a.m. Pacific on June 3, allows two charities to receive even more from Safeco. To cast your vote, visit http://promoshq.wildfireapp.com/website/6/contests/323735. Safeco Community Hero Awards honor local heroes and nonprofit organizations that have a positive impact in education, health and safety, or civic engagement – and they support the community involvement of independent agents. Don’t Meth With MO aims to educate students about the dangers of methamphetamine and the power of making positive choices. Horton — inspired after a Rotary International convention where he learned of a similar program in New Mexico — developed the curriculum, met with school administrators and drug counselors, recruited volunteers and raised money to make his vision a reality. 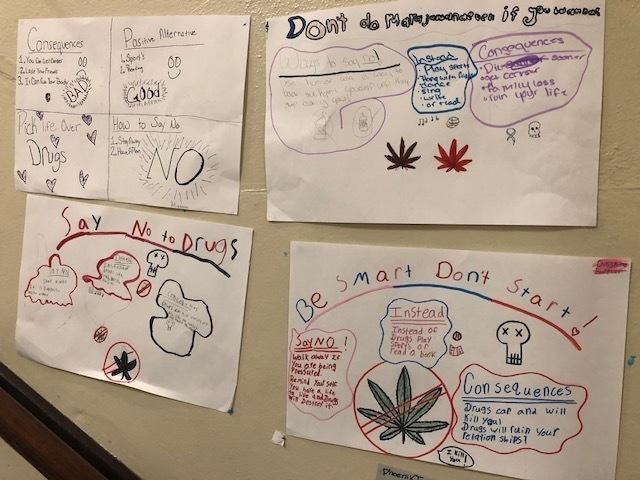 For the past three years, every fifth-grade classroom in Springfield, both public and private, has seen the program’s presentation on the dangers of meth. In 2012, a bi-annual program for high-school students was added, and this year, the program expanded with a presentation targeting seventh-graders. Horton’s efforts have resulted in more than 16,000 students learning about methamphetamine and the power of making positive choices. And he’s helping other Rotary Clubs to duplicate the program in their communities as well. At least 10 other clubs in Missouri are now using the curriculum. 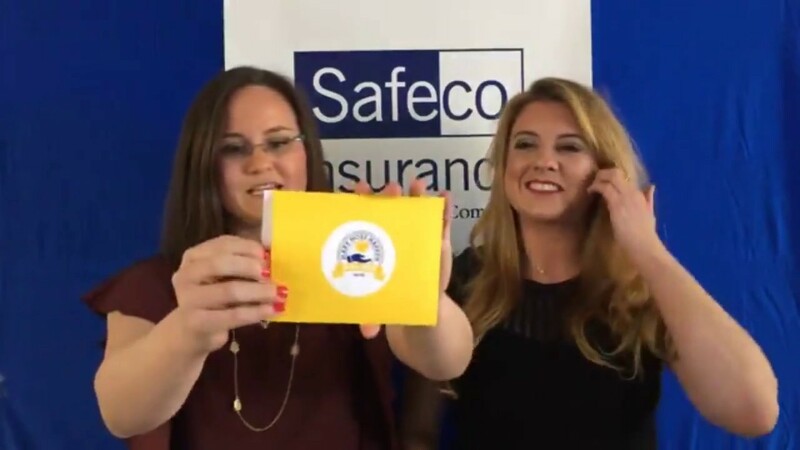 In business since 1923 and based in Seattle, Washington, Safeco sells insurance to drivers and homeowners through a network of independent agents throughout the United States. Safeco is a Liberty Mutual Insurance company. Liberty Mutual ranks 84th on the Fortune 100 list of the largest U.S. corporations based on 2011 revenue. The company has financial strength ratings of A (Excellent) from the A.M. Best Company, A2 (Good) from Moody’s Investors Service, and A- (Strong) from Standard & Poor’s. SPRINGFIELD, Mo. – More students in Springfield Public Schools are learning about the dangers of methamphetamine. “Don’t Meth With Us” used to be aimed at fifth graders, and now it’s been expanded. Carver Middle School seventh graders were the first seventh-grade class to see the presentation on Tuesday, similar to the one they saw in fifth grade. But now they’re a little older and a little wiser, and understand the message even more. “I forgot some of it but whenever it came back it all just came back at once so I knew what they were talking about,” says seventh grader Garren Shelley. For Shelley, the pictures of people who’ve abused meth are never easy to look at. Save money and become a VIP on KY3VIP.com! “The pictures scare me because how people could think that bugs are crawling under their arms. That’s creepy to me,” says Shelley. But they send the message loud and clear about the dangers of meth. “It’s just consistently getting worse, Missouri is the meth capitol, it’s really where meth started and it just continues to grow. It’s just easy for people to make, it’s cheap, the high lasts a long time and it’s just a very addictive drug,” says John Horton with the Rotary Club of Springfield Southeast, who puts on the presentation for the fifth grade classes. To help deliver that message, they’re getting some help from Glendale High School Students. “Seventh graders, they’re just going to get exposed to it in more years, they just need to be reminded and it will help them know what the drugs are,” says Glendale Senior Natalie Crise. “We figured the seventh graders would really listen to these high school students much more than they would listen to an adult,” says Horton. So the kids took a day off of hitting the books to do a little review. “Our philosophy is we needed to have multiple touches of the kids so we decided fifth grade, seventh grade, high school is a good way to go and if we hit them several times with that message hopefully they’ll get it,” says Horton. That will hopefully teach them a lesson they never have to learn firsthand. “It’s sort of crazy because if some people make that one mistake they can never go back, usually because they’re always going to be addicted. So it’s a huge decision for someone and if they make the wrong one they’re going to end up messing up their life,” says seventh grader Brynn Tucker. They incorporated the lesson into a game of Jeopardy that the kids got to play in groups. The kids say they are able to focus more when the lesson is more interactive and they are able to retain more information. SPRINGFIELD, Mo. — Talk about a dangerous discovery. Three kids playing in their Springfield neighborhood found a discarded meth lab. A 12-year-old girl kicked then picked up the plastic bottle before realizing it was used to make drugs. The girl called police, who confirmed the bottle had been used to make methamphetamine. Inside were toxic acid levels. Police said the bottle was part of the “one pot” method to cook meth. Days later, children played near the intersection of Broadway and Nichols, seemingly unaware of the drugs found nearby. Although they looked carefree while they ran and rode bikes, the kids know the dangers of drugs. “A bit scared, uncomfortable,” said 13-year-old Christa Rhoten. Her 11-year-old friend Lynn Miles agreed. “It does make me feel like somebody would die around here,” she said. The fear is real for these friends. They saw pictures, videos, and heard stories in school about meth. The Southeast Rotary Club of Springfield puts on the program called “Don’t Meth with Us.” The club travels to all fifth grade classes in Springfield’s public schools to spread the message about meth. The girls believed they have smelled the drug cooking on a street where they play. Her sister Sierra sat next to her and agreed. “Not just that, if you find one of the bottles that they do meth in, it can explode,” Sierra said. Trashed bottles similar to the one found line Broadway. If something looks suspicious, police said to touch nothing but the phone. Paul Shelley has four kids and worries about meth in his neighborhood. For Sierra and her friends, playtime continues. So does a motto about meth. Rountree Elementary was one of the fortunate schools to be involved in the pilot project of the Rotary Club’s “Don’t Meth with Us” program. 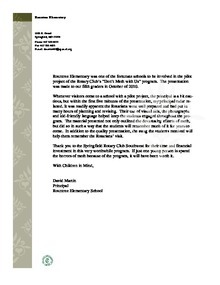 The presentation was made to our fifth graders in October of 2010. Whenever visitors come to a school with a pilot project, the principal is a bit cautious, but within the first five minutes of the presentation, my principal radar relaxed. It was readily apparent the Rotarians were well prepared and had put in many hours of planning and revising. Their use of visual aids, the photographs and kid-friendly language helped keep the students engaged throughout the program. The material presented not only outlined the devastating effects of meth, but did so in such a way that the students will remember much of it for years to come. In addition to the quality presentation, the swag the students received will help them remember the Rotarians’ visit. Thank you to the Springfield Rotary Club Southwest for their time and financial investment in this very worthwhile program. If just one young person is spared the horrors of meth because of the program, it will have been worth it. SPRINGFIELD, Mo. — An increasing number of children in Missouri are trying methamphetamine for the first time in grade school. John Horton, president of the Rotary Club of Springfield Southeast, says the average age of a first-time user is just over 12 years old. To fight the trend, Horton spearheaded an effort to show hundreds of Springfield School District students exactly what meth can do to a person’s body and life. It’s a program called Don’t Meth With Us. Horton’s Rotary Club hopes 5th graders will learn that message by seeing just how destructive the drug is. Students at Disney Elementary gasped last Thursday while looking at the before and after pictures of meth addicts. The dramatic change and “gross factor” is what grabbed their attention in the gym as they watched the slide show. It was a class with a real-life look at the work of methamphetamine. Pictures of the rotting “meth mouth” really caused kids’ jaws to drop. The squirming and shouts of “Ewwww!” were proof to the speakers that the message was sinking into the young minds. Springfield Southeast hopes more Rotary clubs will pick up the program and take it to other schools statewide. His team of nine trained presenters has done the program in eight Springfield School District schools for 350 to 400 students. More presenters will be trained next month to try to reach the other 35 elementary schools in the district. “We could get this information in front of these 5th graders when they’re at a critical time in their life and they can sit there and make a decision that, ‘Hey, I don’t ever want to do meth,'” said Horton. One thing the students learn about meth is its nickname on the street is 417, from our telephone area code 417, because its use and manufacture originated and grew in southwest Missouri. Gage Casper thought all of the pictures were powerful. “All of them were just really weird and nasty,” recalled the 12-year-old. “The way it (meth) can change your body, I thought that was really shocking and how messed up it can make your life,” said Madeline Hoover. Maya Alberhasky, 10, remembered the images of addicts’ scarred arms from picking at what felt like bugs crawling under the skin. “If you take it (meth), you’ll get rashes. You’ll keep on itching. You might die from it,” she said. Martin says parents and educators need to be more proactive in warning kids about how highly addictive meth is and how damaging it can be. “We need to get that message out to kids before they start experimenting with things because, at that point, it becomes an issue of recovery and not resistance,” said Martin. Horton brought the program, which was started by a Rotary Club in New Mexico, to Springfield after seeing it at Rotary International’s convention in Montreal, Canada, last June. He hopes it gains more momentum and interest with the governor’s recently proposed prescription-only mandate on cold medicines that contain pseudoephedrine. The program has no cost to schools except a half hour of class time. In 2011, Horton hopes his team will be able to visit private schools in the city and reach students outside Springfield. He plans to talk to the Rotary Club in Ozark in a couple weeks about picking up the program. Horton is also holding a contest to find a text message or drawing to put on a billboard for his meth fighting campaign. Volunteers will teach kids about the dangers of the illegal drug. SPRINGFIELD, Mo. –- The impact of methamphetamine on young lives is not one of the core subjects in school but at least one group thinks it should be. 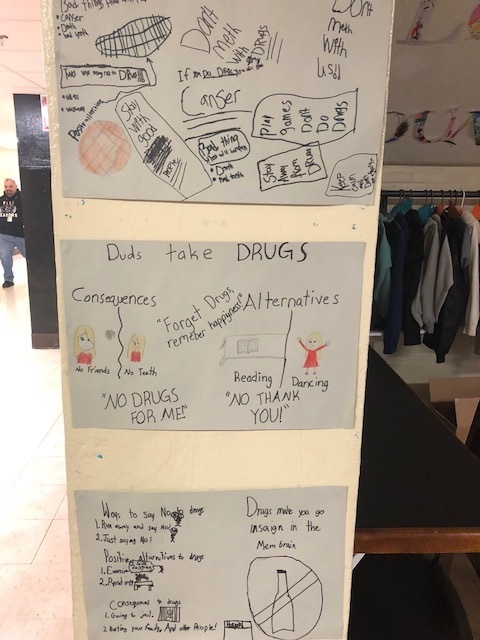 Although it’s hard to imagine a 5th grader trying meth, the group’s goal is to get to children while they are young to try to make sure they will never start it. That’s why a program called “Don’t Meth with Us” could soon be coming to classrooms in and around Springfield. “They know; without a doubt, they know,” said York Elementary School Principal Gary Danielson. Danielson says nearly every one of his students has had some kind of exposure to meth. “Whether it be on TV, whether it’s a neighbor, a close friend — they’re exposed to it and we need to take handle on it,” he said. That’s where John Horton’s group steps in. “We want to get them before they certainly start,” said Horton, president of Springfield Southeast Rotary Club. Some 30 members of Horton’s club have volunteered to go into 5th grade classes in the city to teach young kids about the dangers of meth. “When they start seeing the drain cleaner, fuel, high octane fuel booster and how dangerous it is to ingest, they’ll make a decision, ‘Hey, that’s not something we want to do,’” he said. Horton says, unfortunately, it’s exposure many of these kids have seen before. The principal say’s that’s right. The Community Partnership of the Ozarks is training the Rotary members who will teach the classes. Starting off, the classes will be at seven schools in the Springfield District for the 5th graders. Eventually it will expand to all the schools here. Springfield Southeast Rotary Club hopes to recruit other Rotary Clubs to help with the project, and expand to schools all over the area, and the state.